Our Mindsets Shape Our Reality. Our mindsets shape our reality. They can either help us grow spiritually or they can keep us stuck. I am a huge believer in constantly examining my mindsets and how they are impacting my life and my spiritual growth. 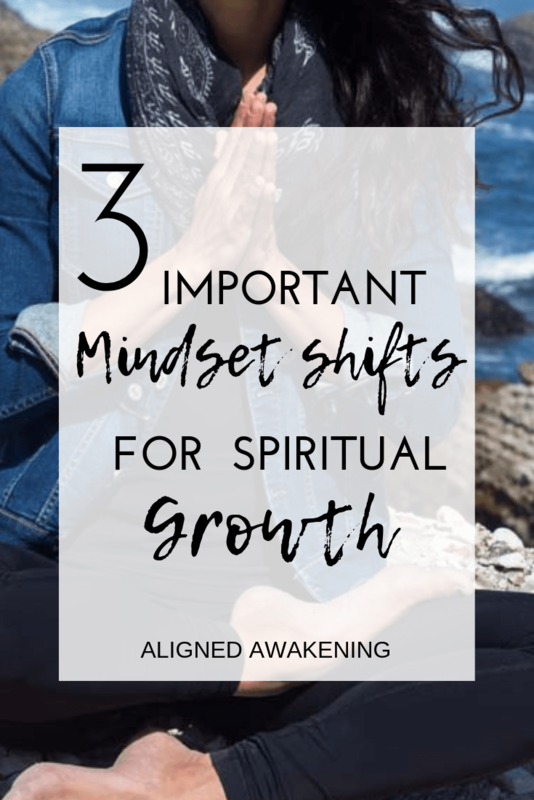 In this post, I share with you what I believe are the three most important mindset shifts to help you on your spiritual journey. I hope that they will be as helpful to you as they have been to me. Making peace with your past is one of the most powerful things you can do for yourself. I have seen incredible transformations occur in a matter of minutes when people choose to look at their past with love and gratitude. Everything that has happened in your life has brought you to your current level of awareness and has created the life you are now living. It has brought you to desire a deeper connection to yourself and the universe. Your past has shaped you into someone who is seeking a high vibe existence. Otherwise, you wouldn’t be here reading this. You would not be interested in mindset shifts or spiritual growth. If your past was different you would be reading something else somewhere else. Focusing on something totally different. During the most difficult times of your life you were shaping you and developing the insights, traits, as kills, and mindsets you have today. Each experience inspired the growth necessary to bring you to the beautiful soul you are today. 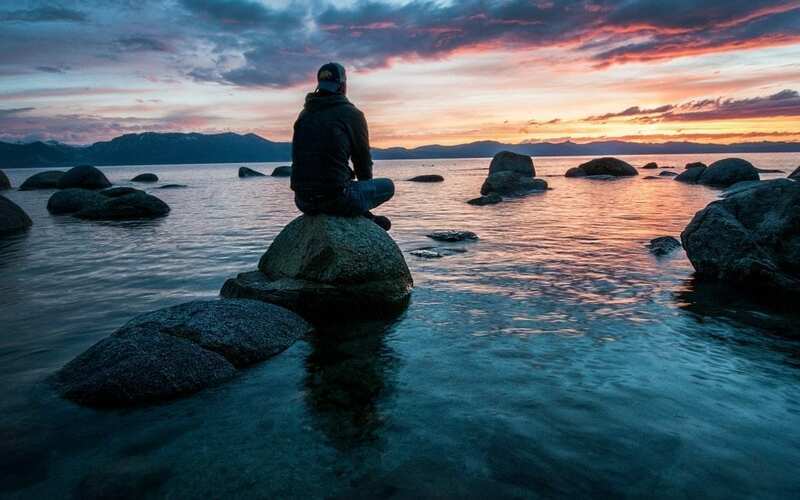 The more you can embrace and honor your past selves the easier it will become to connect to yourself, your inner wisdom, and source energy. Start with forgiveness and progress toward gratitude. Learn more about forgiveness and progressing to gratitude here. You have the choice to see your life in any light you want. When you choose to see things as happening to help you instead of harming you will make your journey much more fun. It will also accelerate your growth because by making this shift you are raising your vibration and aligning yourself with higher truth. How is this here to help me? What wound inside of me is this encouraging me to heal? What is this giving me the opportunity to release or let go of? How can I view this from the highest possible perspective? You have all the answers you seek inside of yourself. You just need to learn how to find them. We live in a society that teaches us to seek outside of ourselves. A society where we are taught to value the external and the way things look and ignore the internal and the things we cannot see. So it is not a surprise if seeking internally feels foreign or strange at first. It’s possible you even felt skeptical of having all the answers within you. I know when I started my journey I just wanted to find a guru who could give me all the answers. What I found instead was an amazing teacher who taught me how to connect to myself and my inner guru. My Teacher taught me the importance of having my own yoga practice centered on the eight limb tradition. She taught me the importance of daily meditation, practicing pranayama, living in alignment with Ahimsa non-violence (especially win myself) connecting to my body through asana (the physical yoga postures), and the importance of self-study. Just to name a few. Journaling is another excellent way to connect to yourself and find the answers that you are seeking. If you are struggling with this give journaling a try and you can try these 7 tips for developing your intuition. I know the combination of journaling and developing my intuition have helped me a ton on my spiritual journey, and I know they can do the same for you. Through my yoga practice and adopting these mindset shifts my life was transformed. My life literally did a 180-degree shift. And I know the same is possible for you. You came to this planet at this time for a reason. You are on a spiritual journey for the evolution of your soul. Everything in your life has brought you here to this point. Trust The divine timing of your life. Implement these mindset shifts. Choose You. Make the decision to listen to the little voice that has been nudging you in the direction of your soul. I really resonate with having gratitude for your past! Sometimes events can make you bitter, and if you can’t let go of that to see the growth it allowed, it’s hard to move forward! Hi Lexus! I am so glad that you resonated with the post. I totally agree. Making peace with our pasts and adopting an attitude of gratitude is so powerful.